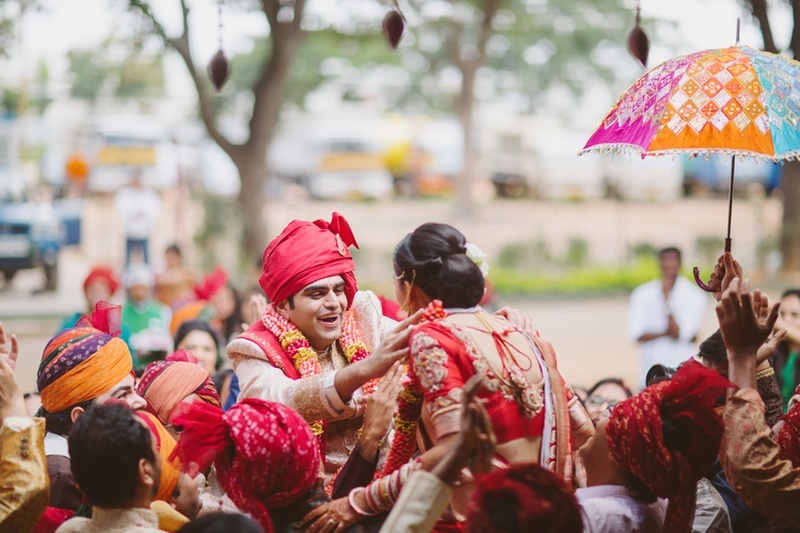 The wedding was a little more on the traditional side but the abundant happiness was present! 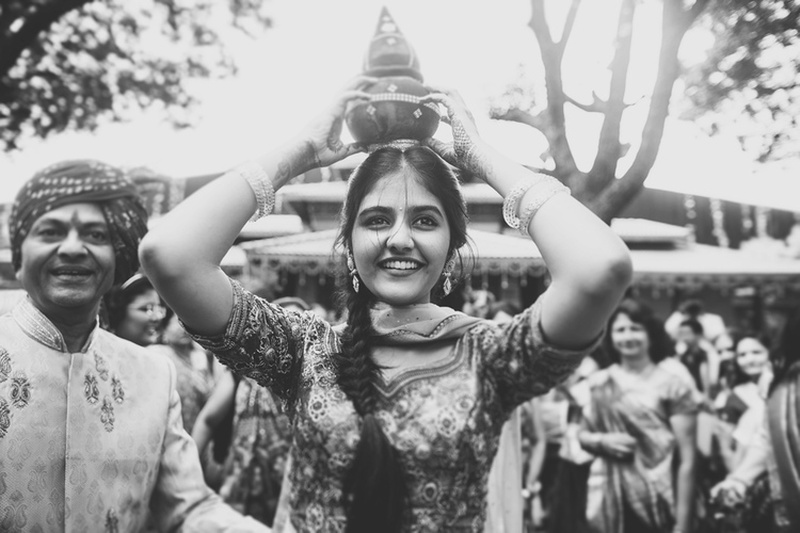 Meha Vinay from House on the Clouds on Vimeo. 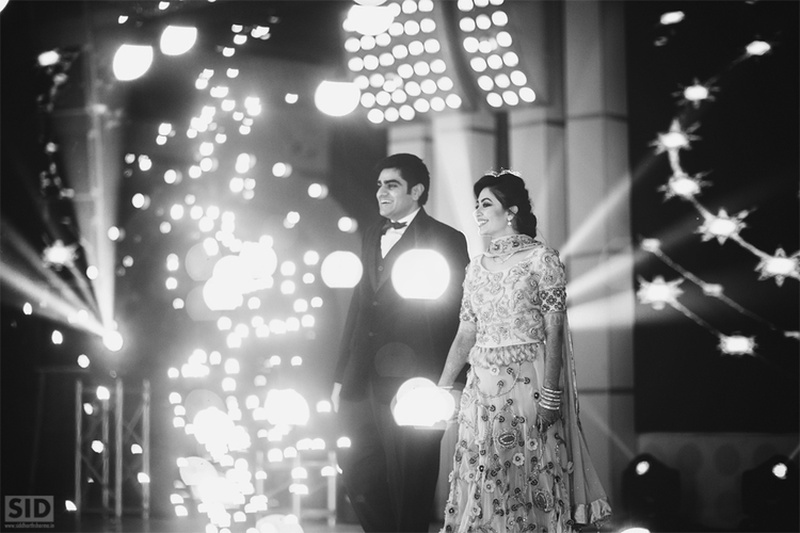 Black and white pre wedding shot by Siddharth Sharma. 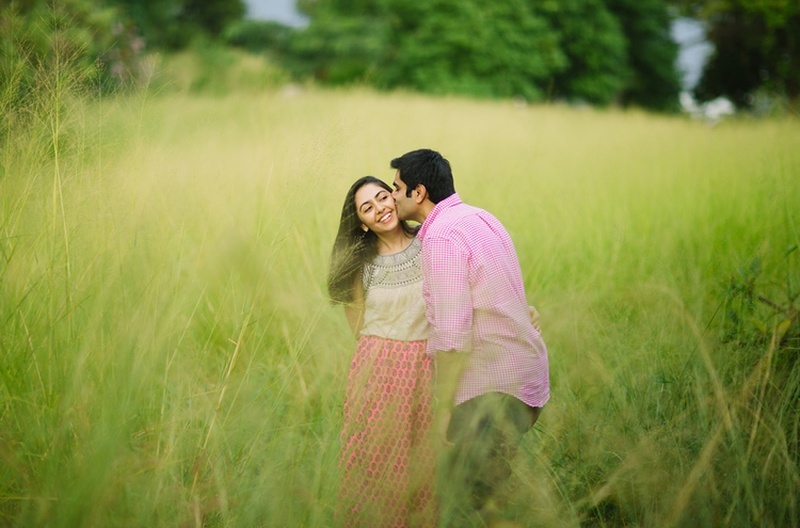 Cute pre wed in the middle of a farm! 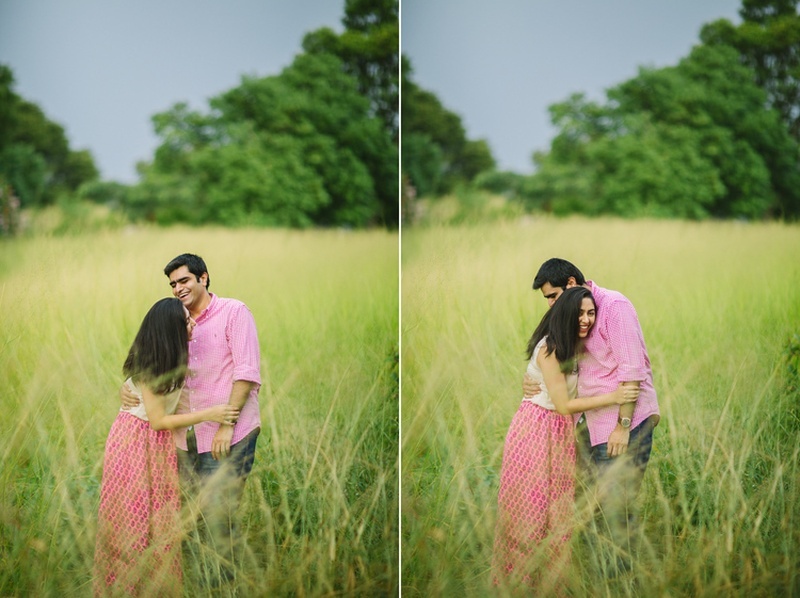 Meha and Vinay giving cute poses for their pre wedding shoot! 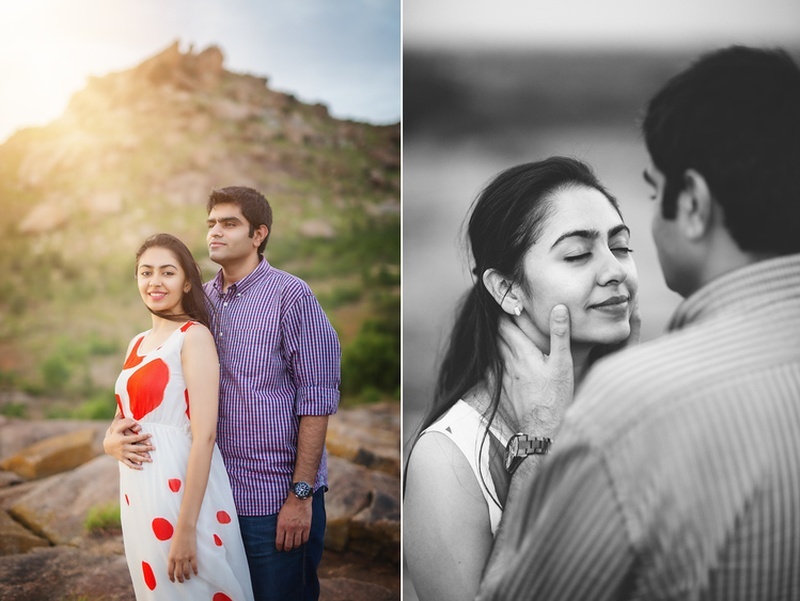 Simple and elegant pre wedding shoot by Siddharth Sharma. 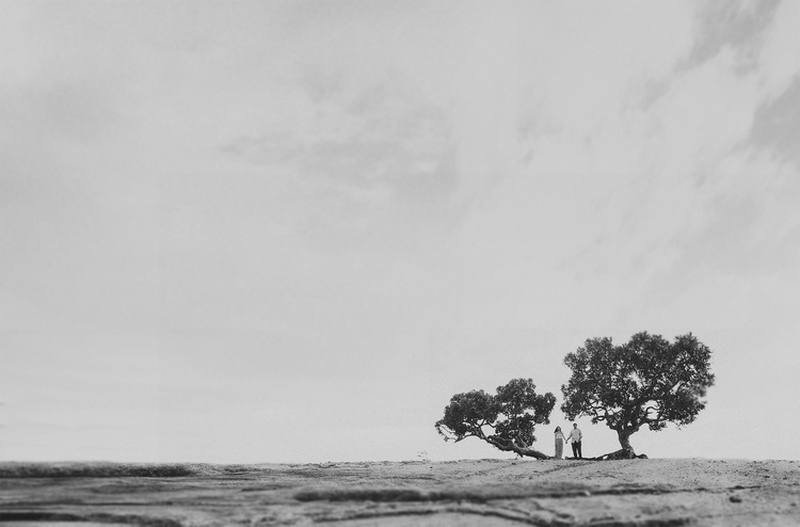 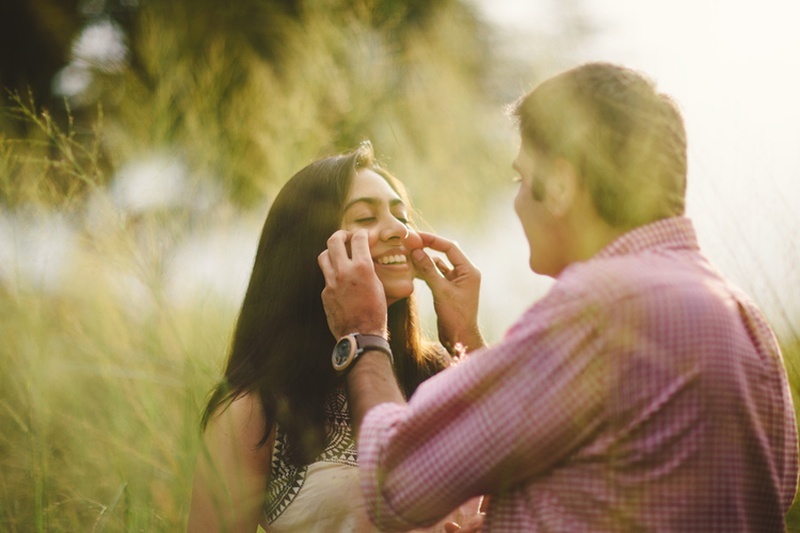 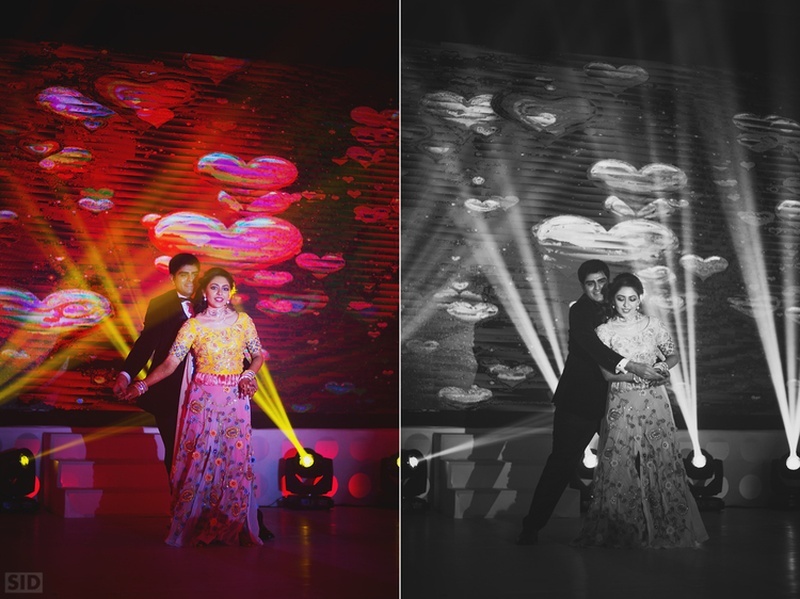 Brilliant pre wed shots captured by ace photographer Siddharth Sharma. 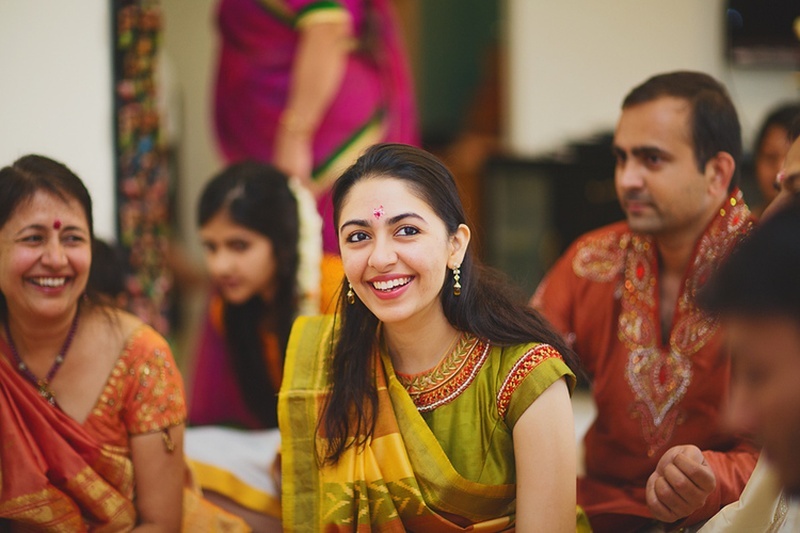 Dressed up in simple olive green and yellow saree with minimal makeup for the haldi ceremony. 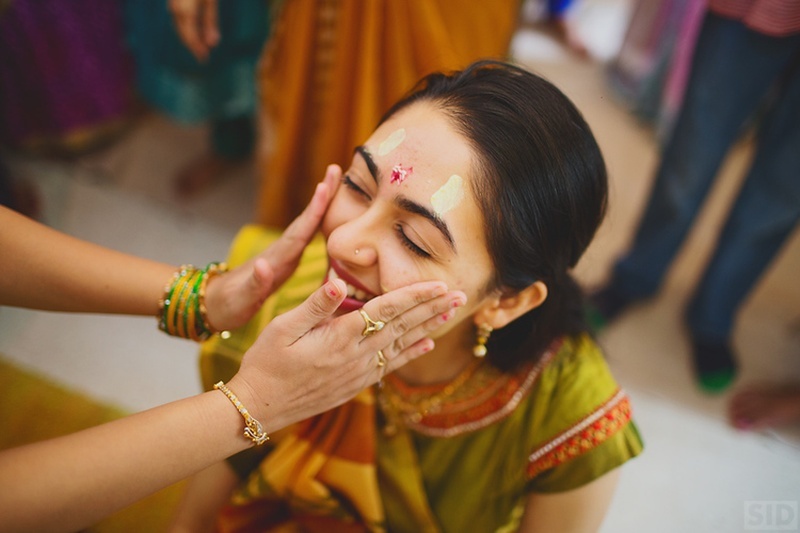 Applying haldi to the bride ! 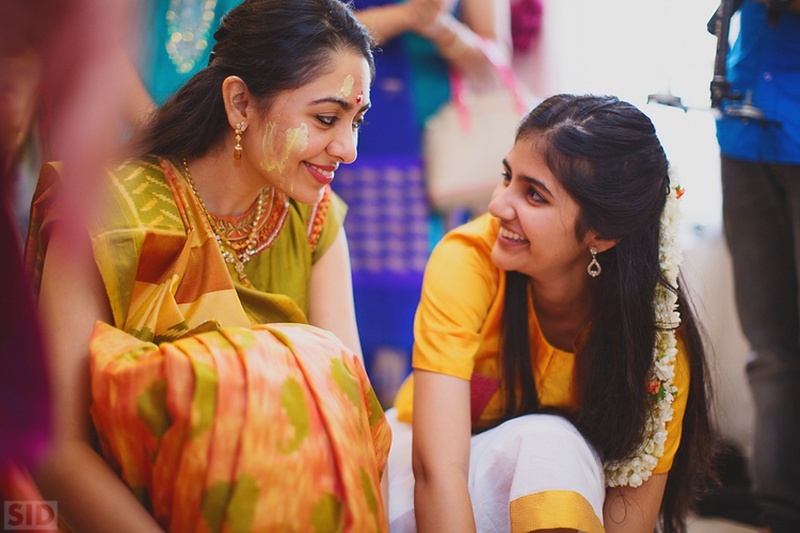 Meha and her sister's candid moment captured in between haldi ceremony. 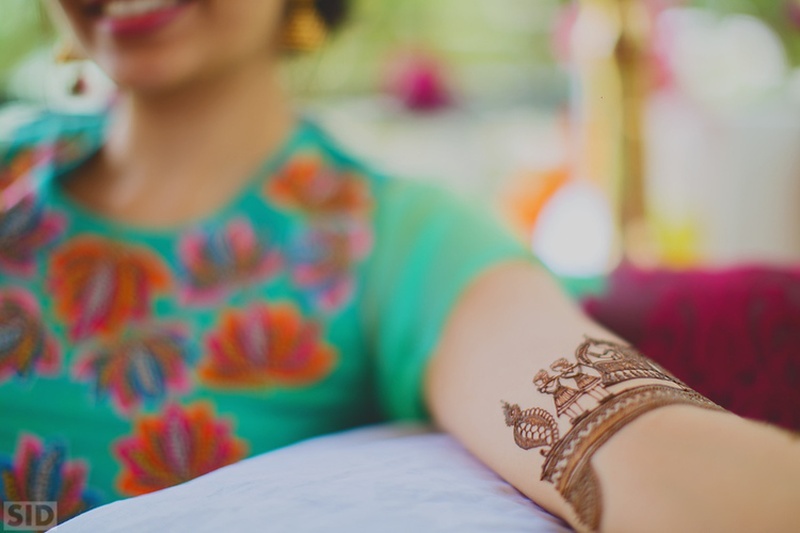 Meha in sky blue kurta with colorful embroidered lotus patterns on the yolk, for her mehendi ceremony. 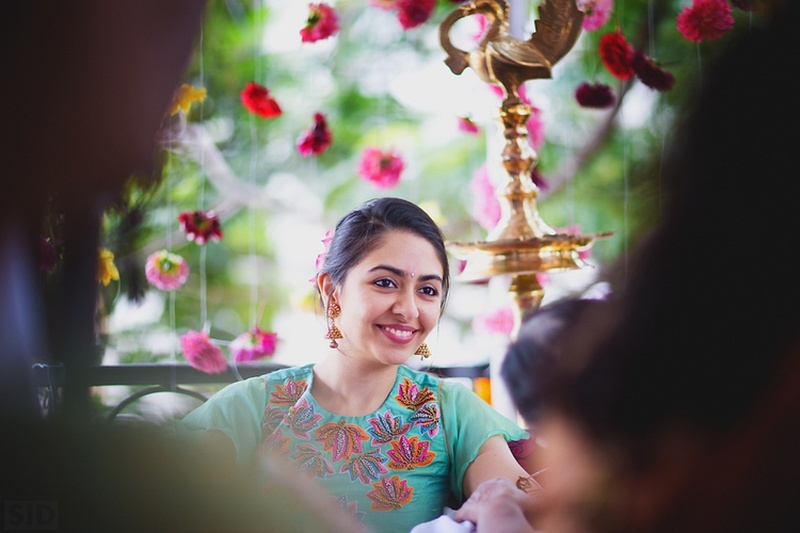 Flower hanging backdrop decor for the mehendi ceremony. 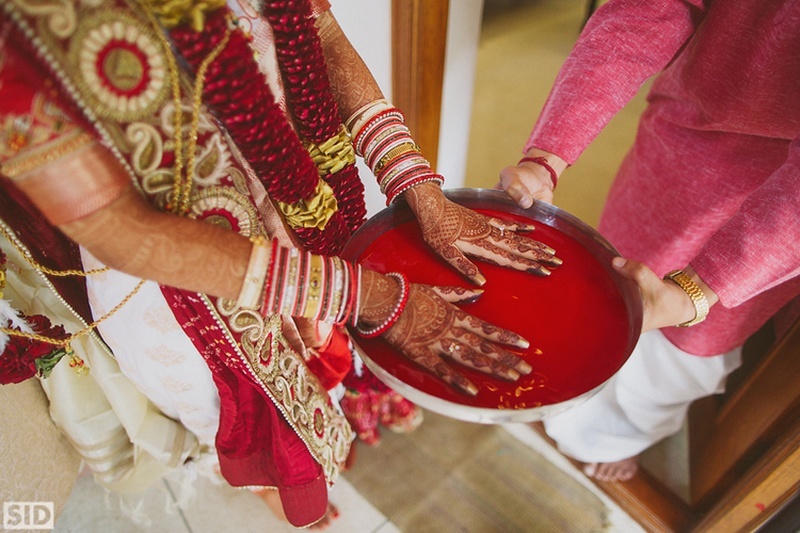 Getting ready for the Sangeet ceremony bash! 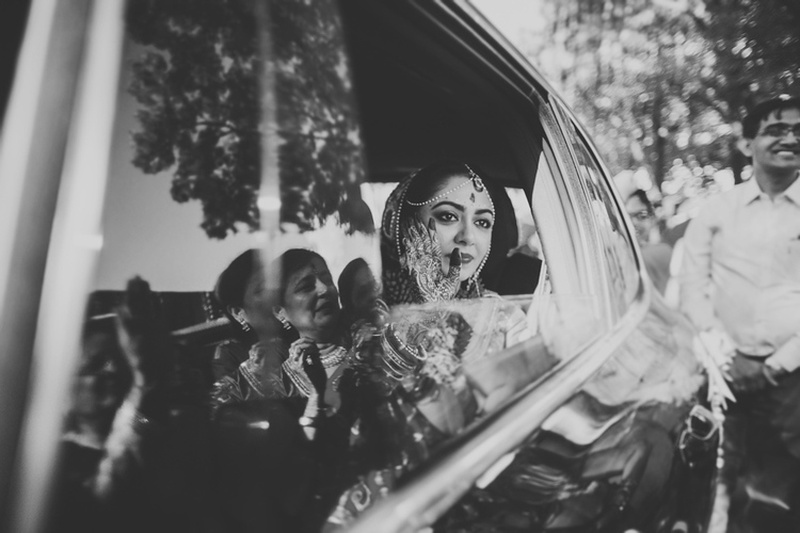 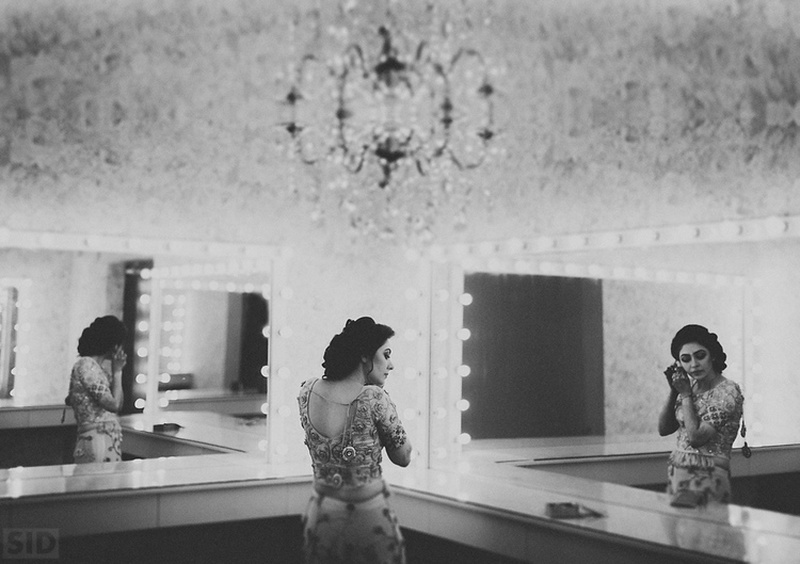 Black and white photography of Meha getting ready for her sangeet ceremony. 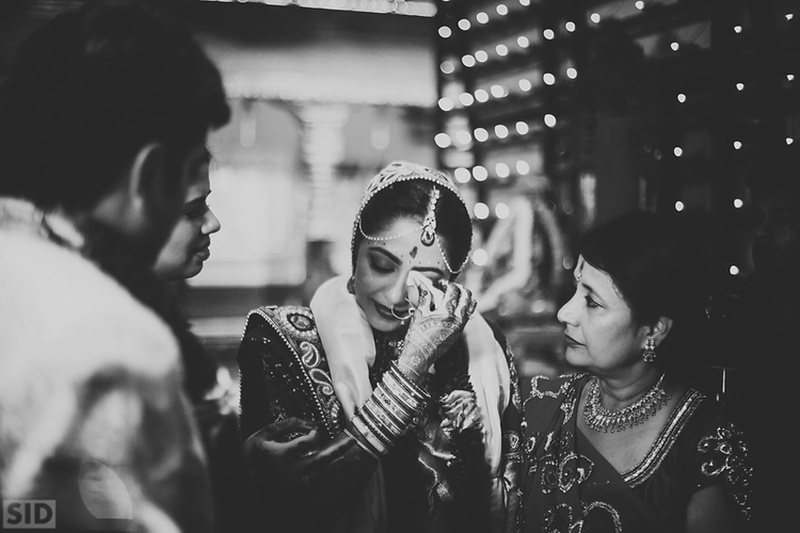 Getting ready for the sangeet ceremony. 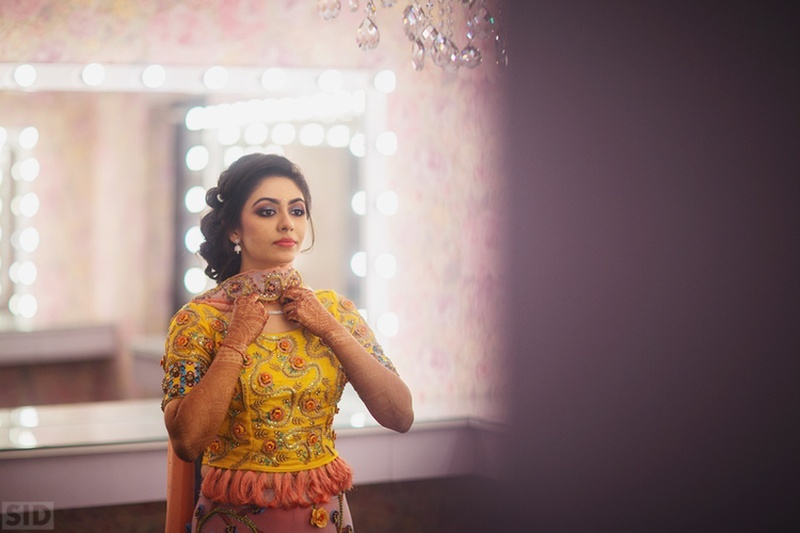 Wearing yellow, peach and pastel pink lehenga by Eshani Studios for the Sangeet Ceremony. 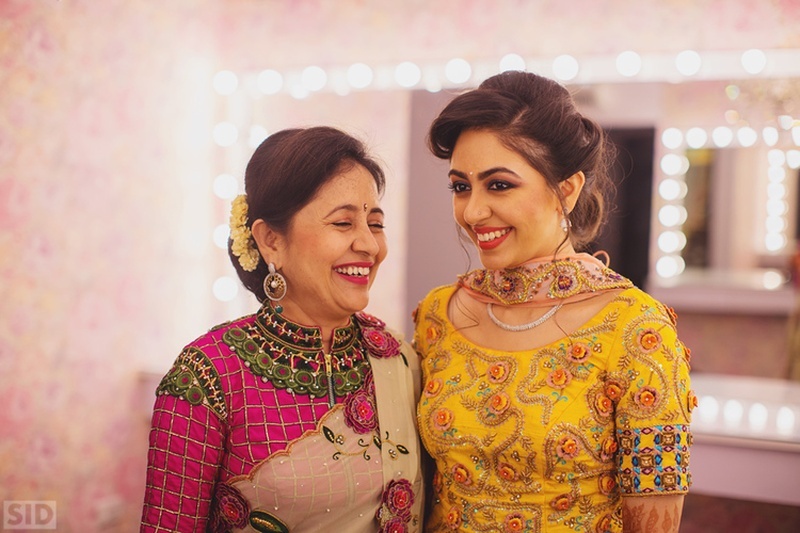 Meha with her mother for some pre sangeet candid shots! 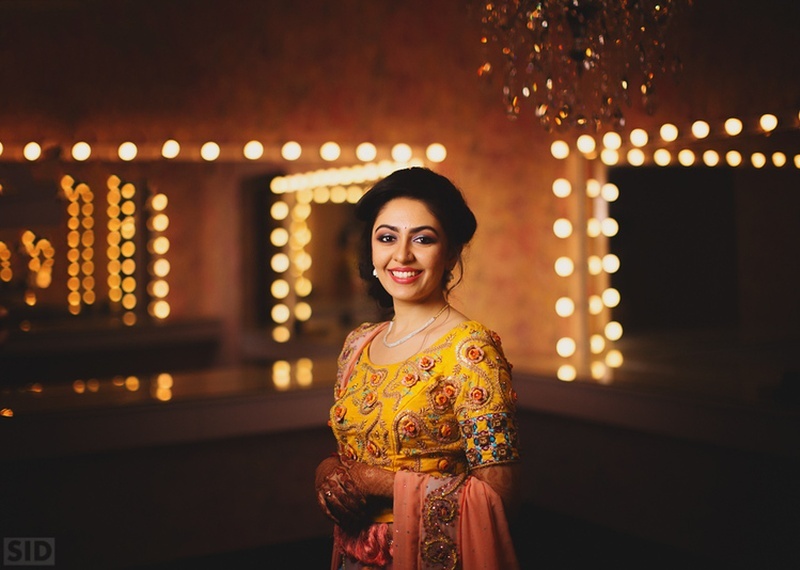 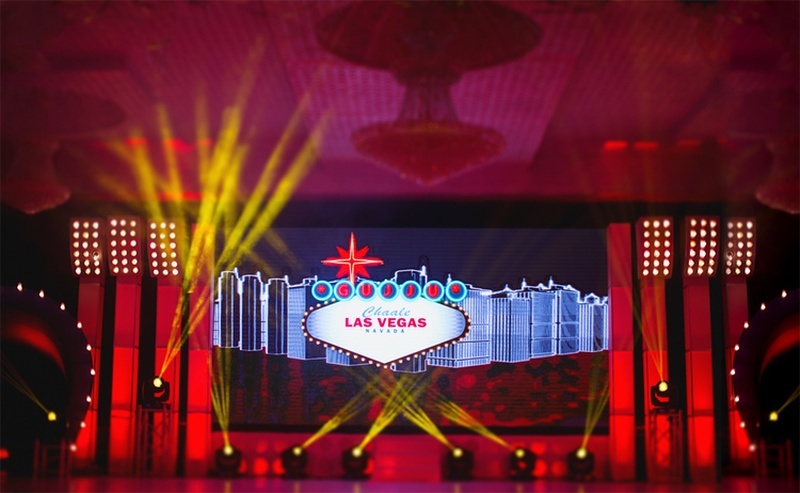 Quirky and fun Sangeet ceremony stage backdrop! 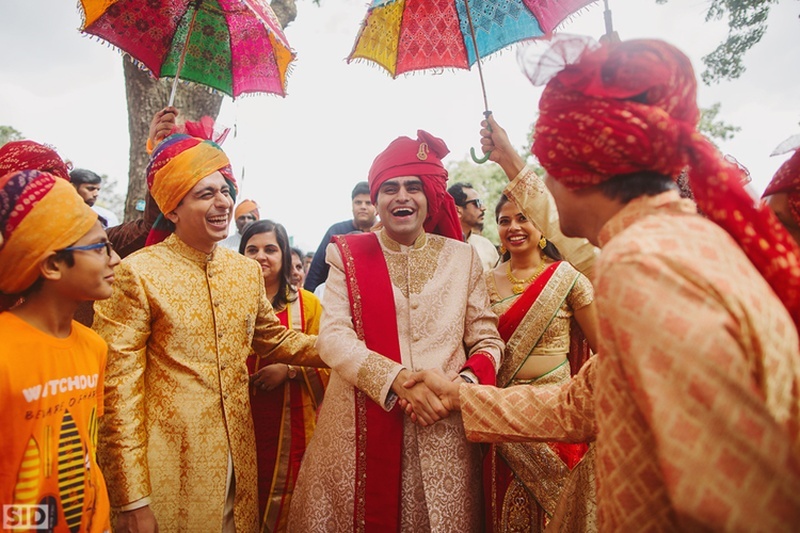 Couple entering the Sangeet venue holding hands! 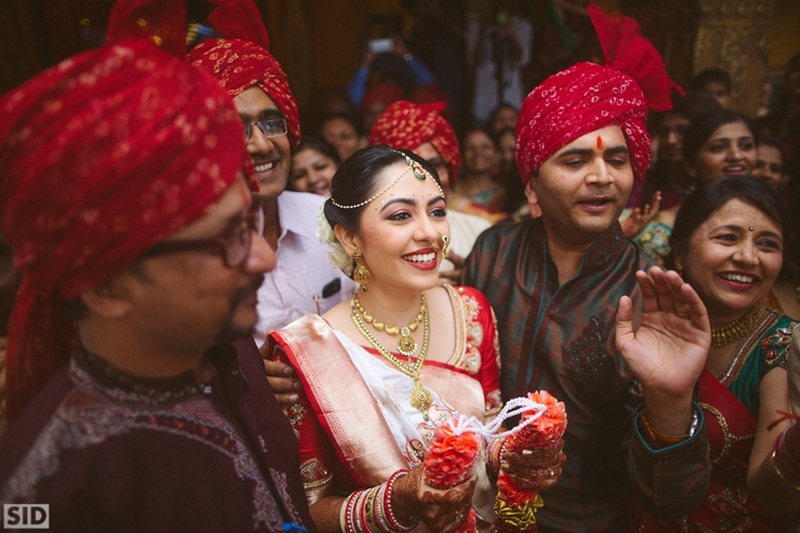 Dancers at a performance at the Sangeet ceremony. 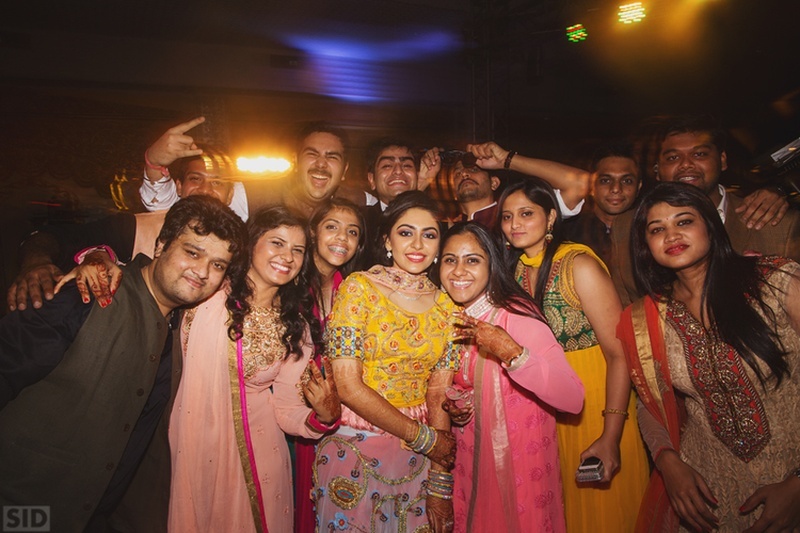 Post Sangeet ceremony fun picture. 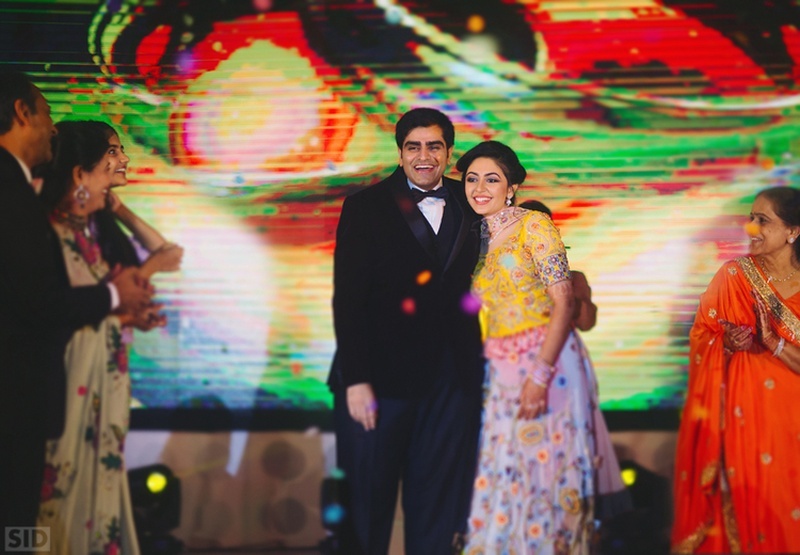 Wearing beautifully embroidered blouse by Eshani Studios for the Sangeet ceremony. 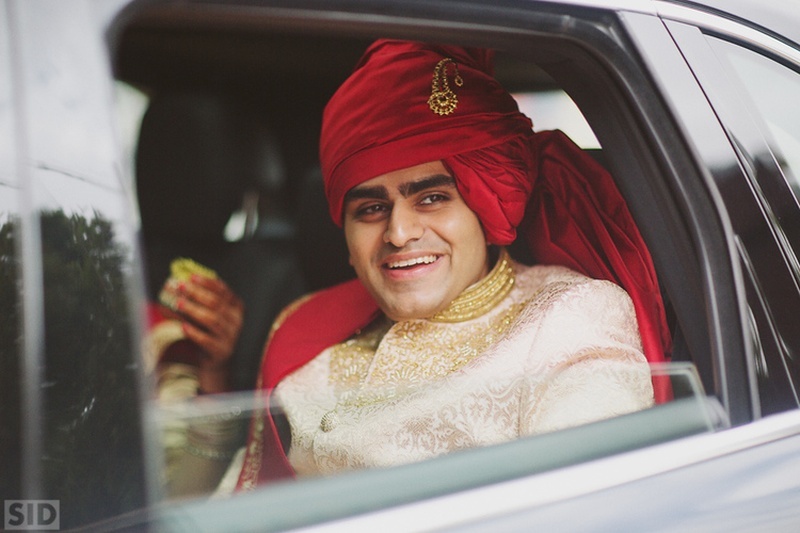 Ready for the Big day. 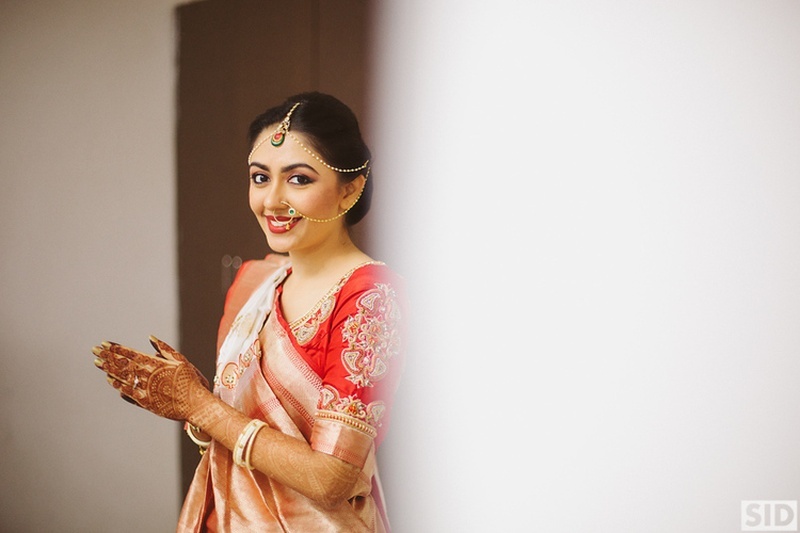 Wearing traditional red and white saree for the wedding day styled with minimal jewellery and minimal makeup. 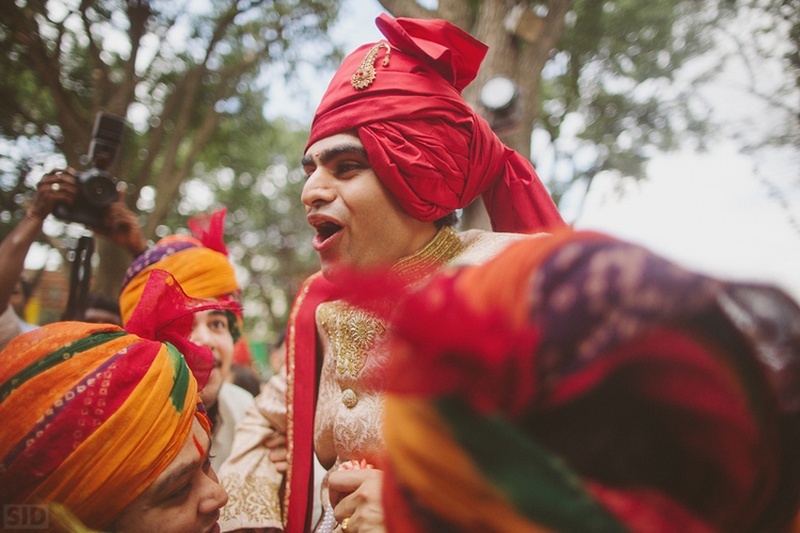 Vinay all dressed up in beige Sherwani styled with red dupatta and red turban for the wedding day. 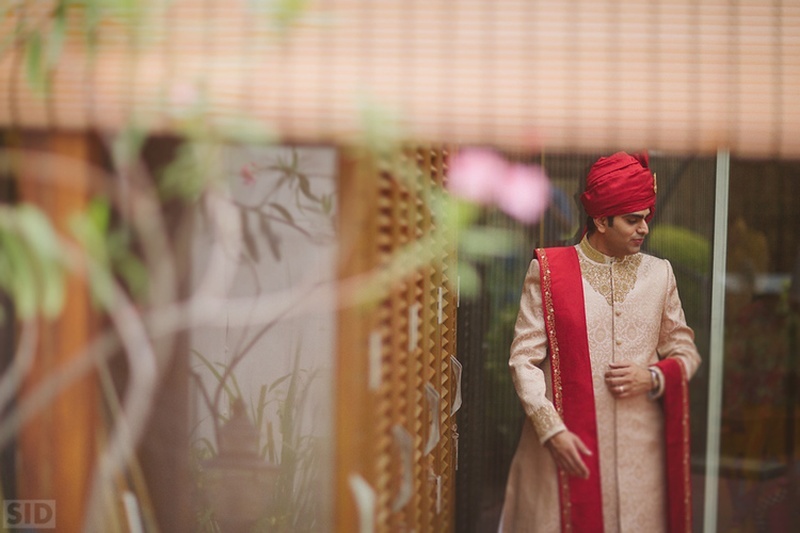 Vinay entering the wedding venue. 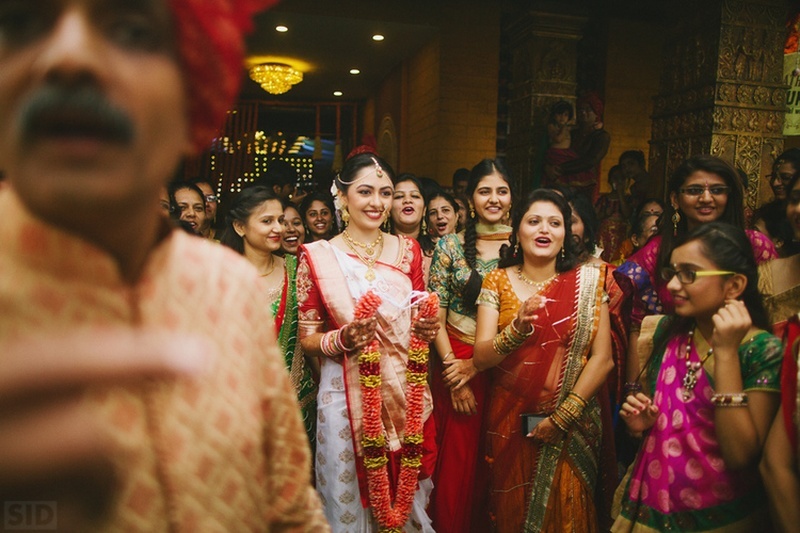 Vinay entering the wedding venue welcomed by the Meha's family. 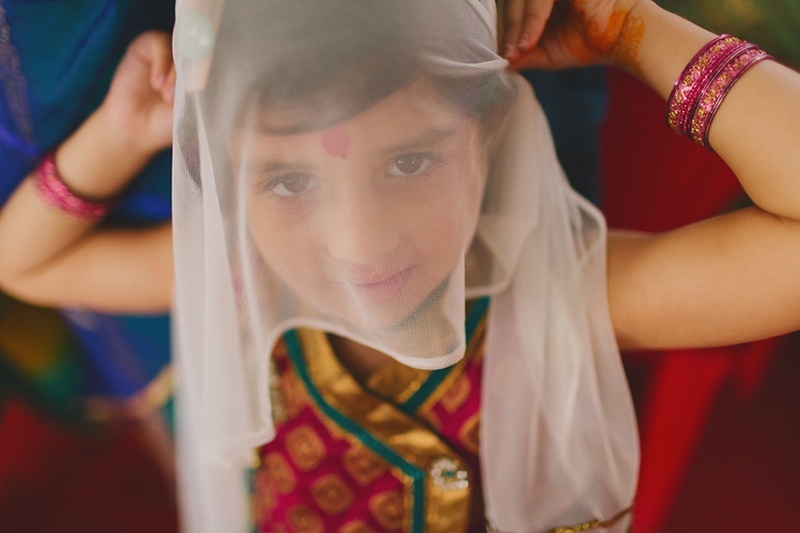 Meha's little sister waiting at the enterance to welcome the Baraatis. 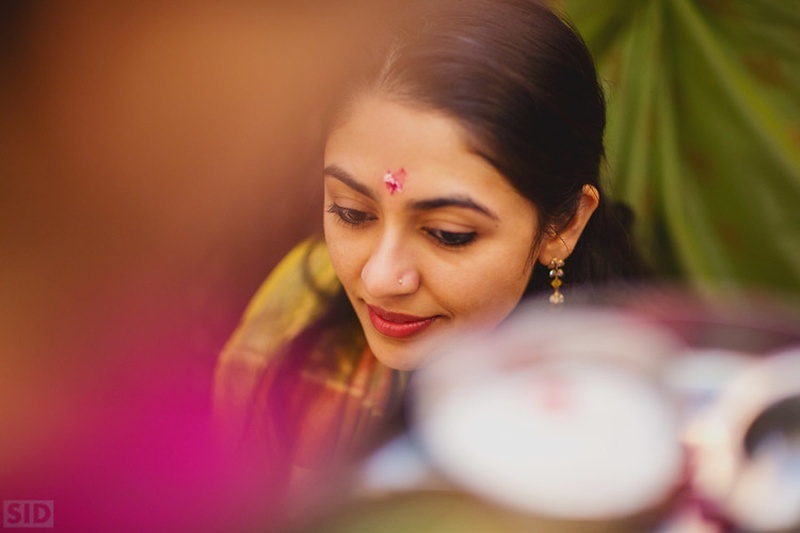 Meha all ready for the varmala ceremony ! 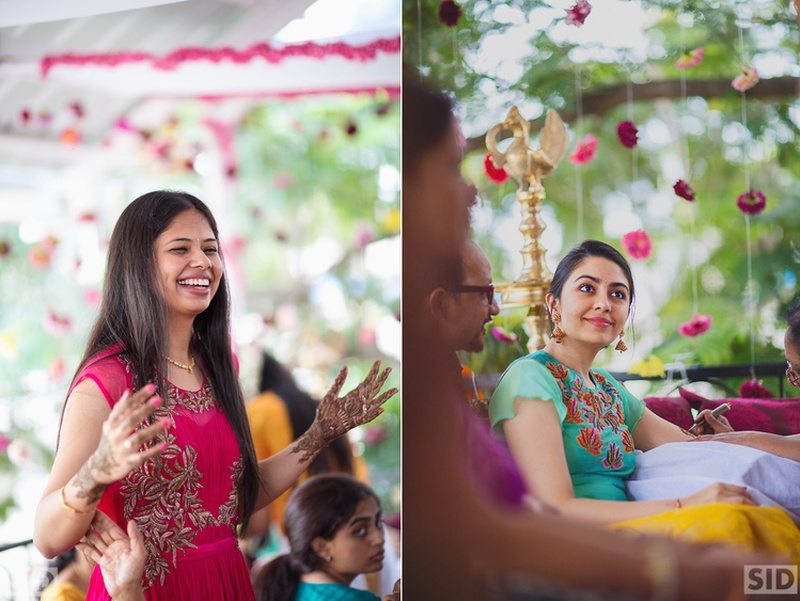 Fun and colorful Varmala ceremony. 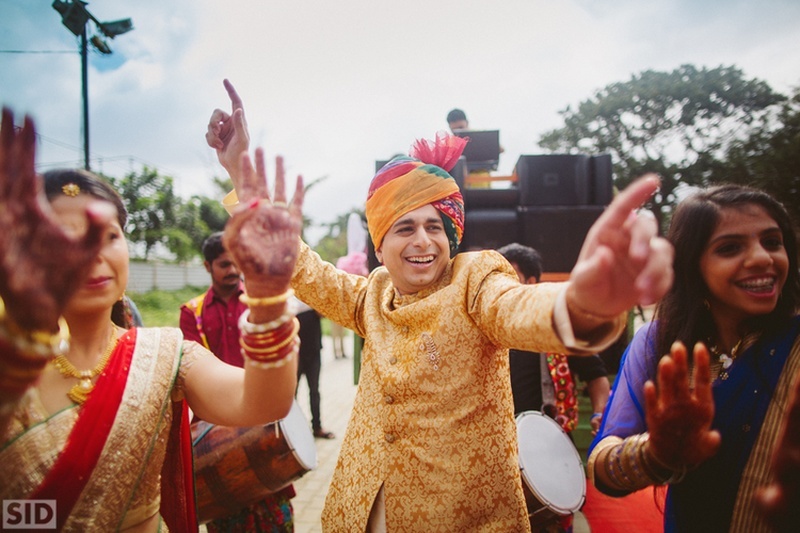 Wedding ceremony held at Palace Grounds, Bangalore. 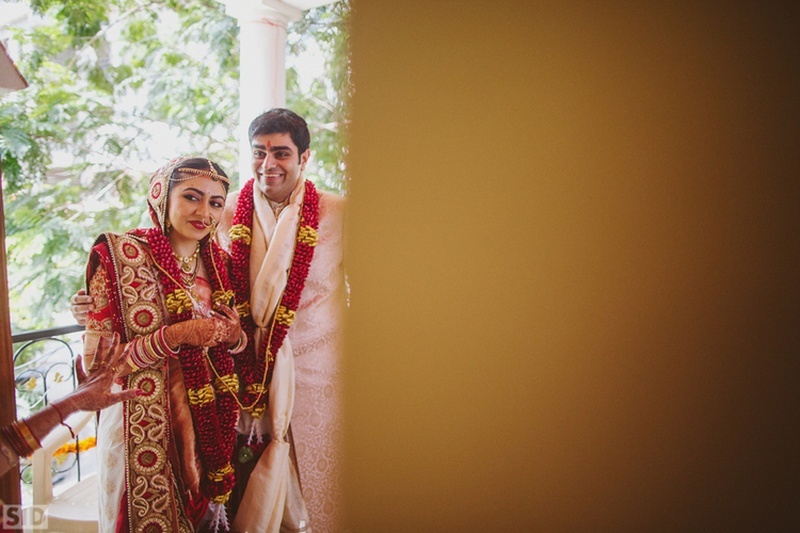 Meha and Vinay looking extremely happy and cheerful wearing those beautiful flower garlands! 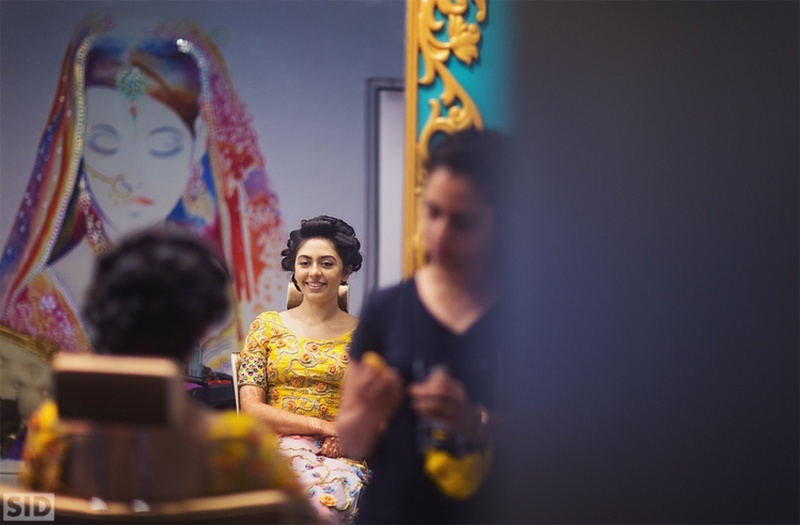 Candid bridal shot by ace photographer Siddharth Sharma. 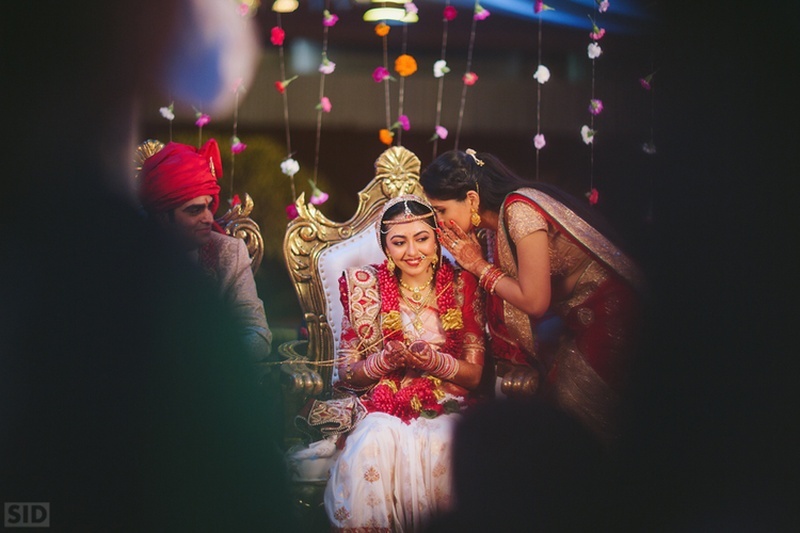 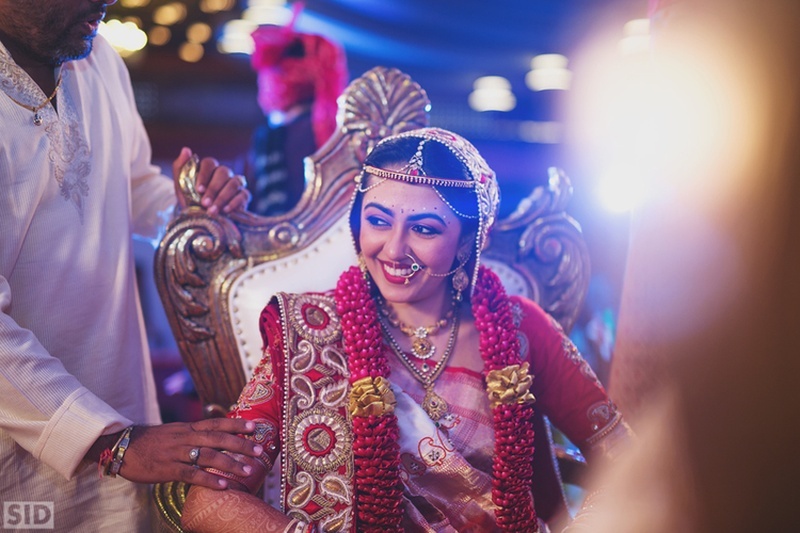 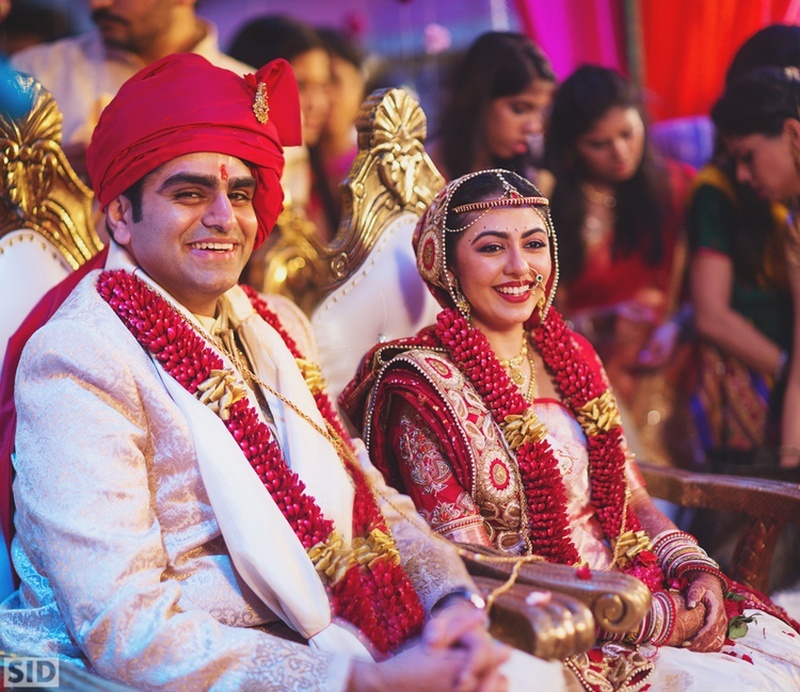 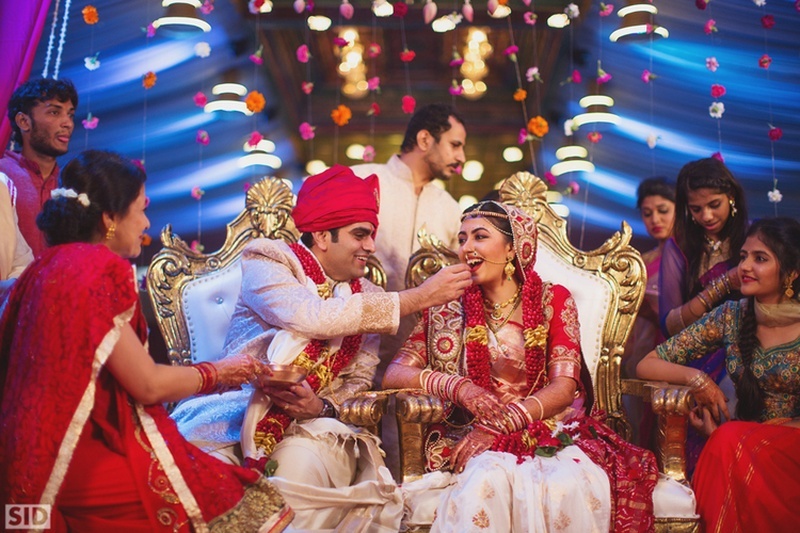 Vidaai ceremony and some candid emotional moments captured beautifully by Siddharth Sharma. 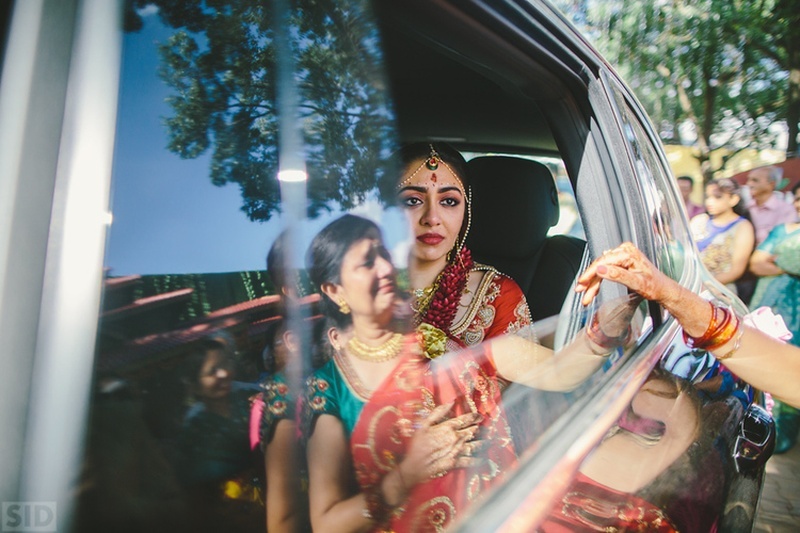 A new life, a new beginning, a new start. 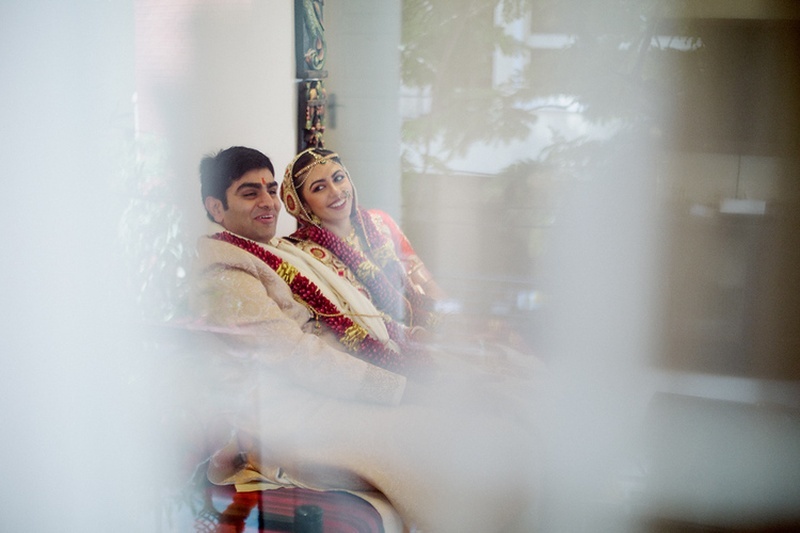 Candid wedding couple shot !